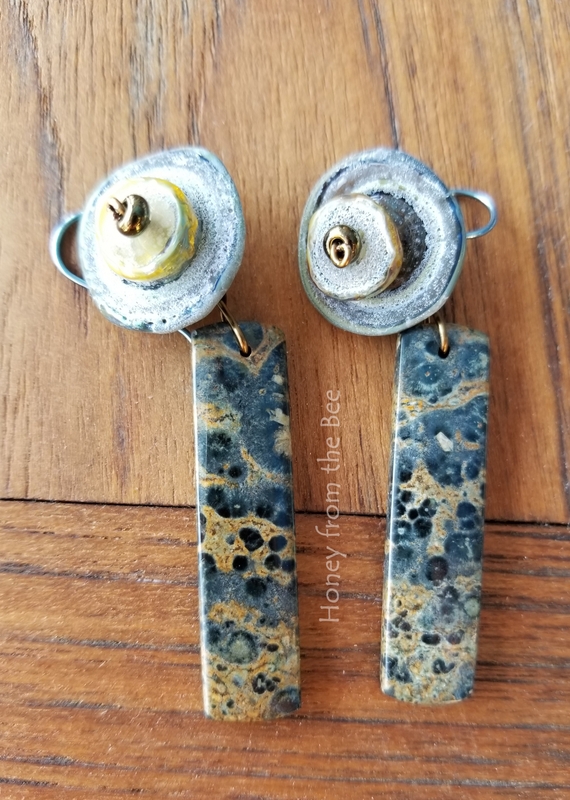 I'm calling these rustic artisan earrings: Yacht Smart! Every year our small town has a Wooden Boat Festival. They come in all sizes, but all are lovingly cared for by their owners. The Chris Crafts are my favorite with their warm teak tones and white accents. I wasn't sure what I was going to call these until I laid them down on our outdoor teak dining table. The Ocean Kambaba picked up the teak tones so beautifully and with the lampwork that looks salt encrusted or aged in the sea... well, why not?! 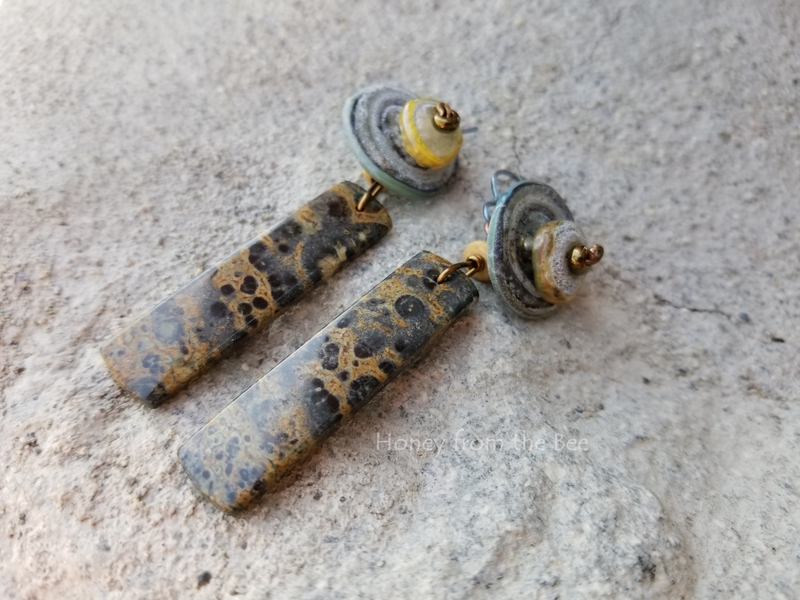 Kambaba Jasper is a rare fossilized (algae!) jasper from Madagascar. Jasper is a micro crystalline variety of Quartz, a silicon dioxide mineral. I love jaspers and this is one of my favorite. 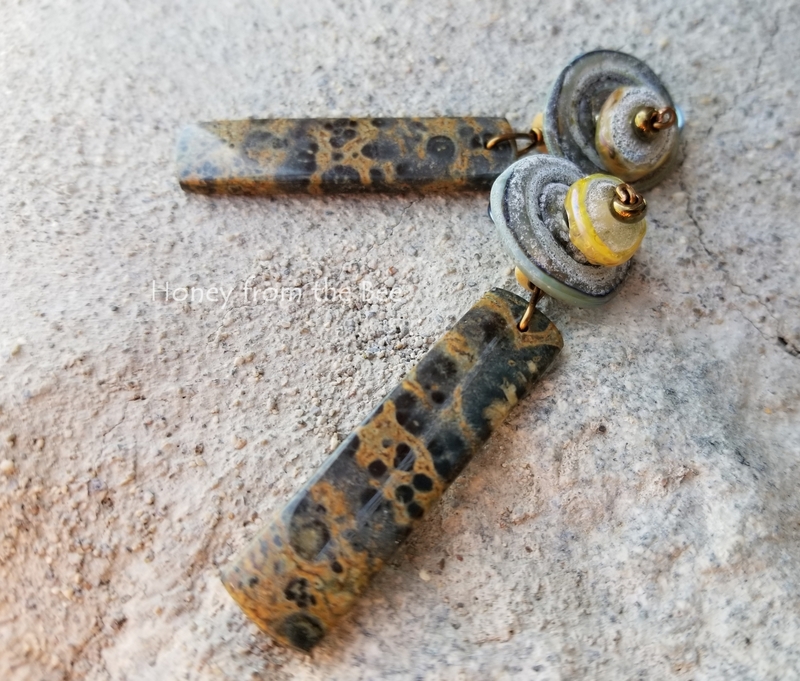 Niobium earwires are hypoallergenic. I used bronze wire to tie the components together and there is one small copper jump ring, too. A small bone bead helps keep the angle of the lampwork in place. 2 3/4" long from the top of the earwire to the bottom of the paddle.